MoviefiedNYC’s guide to finding a cool gift for the movie lover on your list. The World of Bond – the 007 films have a look, style and attitude that is signature Bond. From the cars, to the women, to the villains and even the music, Bond films stand apart. The World of Bond takes the viewer through the best of five decades worth of classic James Bond in one thrilling montage. In time for the fifteenth anniversary of The Big Lebowski, film author and curator Jenny M. Jones tells the full story of the Dude, from how the Coen brothers came up with the idea for a modern LA noir to never-been-told anecdotes about the film’s production, its critical and commercial reception, and, finally, how it came to be such an international cult hit. The movie that inspired filmmakers to direct is like the atomic bomb that went off before their eyes. The Film That Changed My Life captures that epiphany. It explores 30 directors’ love of a film they saw at a particularly formative moment, how it influenced their own works, and how it made them think differently. In this volume, directors as diverse as John Woo, Peter Bogdanovich, Michel Gondry, and Kevin Smith examine classic movies that inspired them to tell stories. Here are 30 inspired and inspiring discussions of classic films that shaped the careers of today’s directors and, in turn, cinema history. The Universal 100th Anniversary Collection features a selection of 25 unforgettable films that helped shape the legacy of one of the most successful movie studios of all time. Featuring Academy Award winners such as To Kill a Mockingbird and The Sting, genre-defining classics like Dracula and Spartacus, captivating storytelling such as Field of Dreams and Do the Right Thing, blockbusters like Jurassic Park and E.T. The Extra-Terrestrial and pure entertainment with franchises including The Bourne Identity and The Fast and the Furious. Help your friends’ and loved ones’ favorite movie stars come to them, by giving them the gift of entertainment – AMC® Gift Cards! AMC Gift Cards are good for both movies and concessions and are reloadable at any theatre in the United States. Even better, AMC Gift Cards do not have any associated fees or expiration dates so your gift spans the test of time. Universally recognized as the Master of Suspense, the legendary Alfred Hitchcock directed some of cinema’s most thrilling and unforgettable classics. 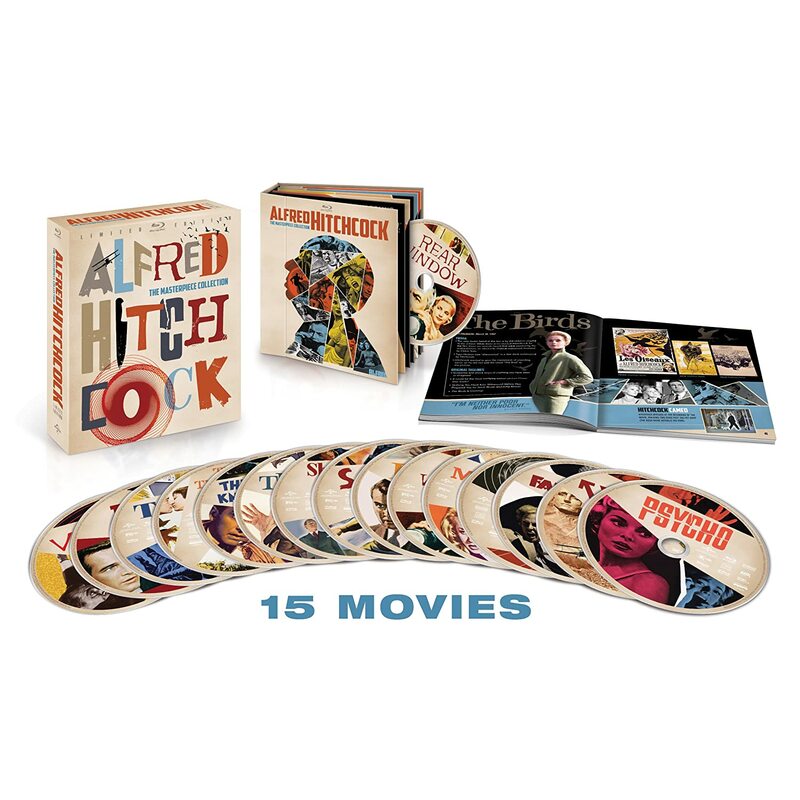 Alfred Hitchcock: The Masterpiece Collection features 15 iconic films from the acclaimed director’s illustrious career including Psycho, The Birds, Rear Window, Vertigo, North by Northwest and many more.